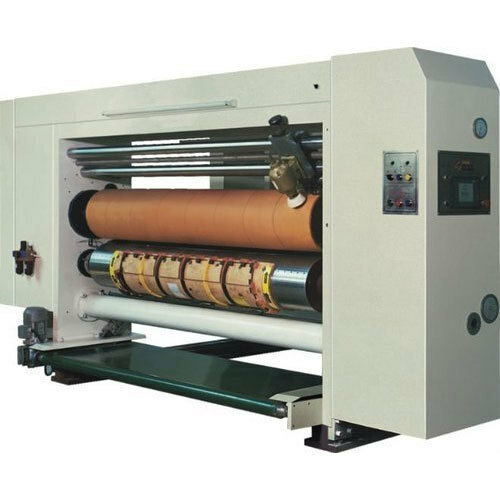 Rotary die cutting machine is one of the most common machine types of die cutting. This is a wide variety of categories including perforated die cutting, kiss cutting and other processes using rotary presses. The process is simple - a flat material is fed through a rotary die that is continually rolling in place. As the material passes, the cutting edge clamps the material and pushes the part out of the desired shape. Rotary die cutting machine can handle a range of materials, including metal plates, fabrics, plastics, and more. One of its main advantages over flat die making machine is that it is faster because Rotary die cutting machine is wasting less work. It can produce parts of various shapes with a high degree of precision, and the dimensions of these parts are limited only by the size of the rollers. Rotary die cutting machine can also replace laser die cutting machine. Although laser die cutting may be better for more precise work, rotary die cutting machine can be used for a wider range of materials and can reverse large batches of projects faster. Laser die cutters are also more expensive to buy, and these costs are usually passed to the manufacturer at a higher cost. Rotary die cutting machine is very flexible - the machine’s process can be used to create almost any flat part. It also supports more complex processes that require multiple passes. The rotary press can die cut 1/8 inch sheet material. In addition to versatility, the main advantages of rotary die cutting machine are its speed, accuracy and low cost. The main cost associated with setup is the processing the die. However, the machining dies are very durable and can be used in a wide range of high volume applications.